Bob Bowers Inc. services all major brands including but not limited to Amana / Carrier / York / Trane / Lennox. 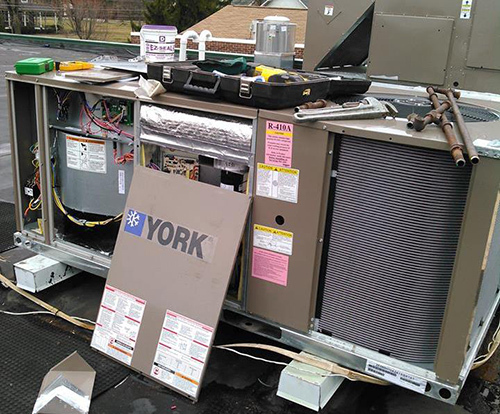 We will service any furnaces, heat pumps and air conditioning equipment for both residential homes and commercial businesses in Carroll County Maryland including Westminster, Taneytown, Hampstead, Manchester, New Windsor, Finksburg, Sykesville, Eldersburg, Mt Airy, Taylorsville, Winfield, Union Bridge, Howard County and parts of Baltimore MD including Randallstown, Reisterstown and Owings Mills. Whether your system is 25 years old and needs some parts and service to keep going or you have a newer energy efficient system that needs service Bob Bowers has the experience to repair your system correctly. If you are looking for the newest energy efficent products Bob Bowers has all the newest technology. Just want to let you know how pleased we are with our recent work you and your employees did for us. Your men you have working for you are excellent. The whole two days we never heard them lose their temper or use bad language. They were very polite. You most certainly can be very proud of them. Your company will be highly recommended by us to anyone we know looking for A.C. A Westminster MD Customer. Thank you for the excellent job done on my basement. Please send me a few of your business cards and I'll be happy to forward them on to other contractors and friends needing your services. Thank you for the great service and flexibility! I will definitely pass on your info!